Good morning, Alicia here today. We at Quick Quotes hope you had a Merry Christmas! Now onto thinking about the next holiday... can you believe it will be 2017 next week? Where has this year gone? 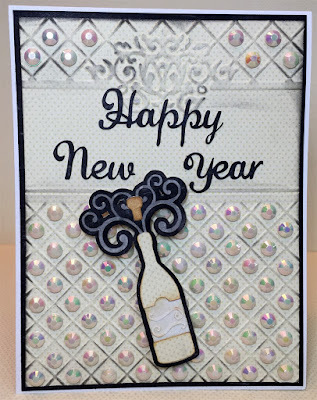 I am welcoming the new year with a little bit of a fancy card. 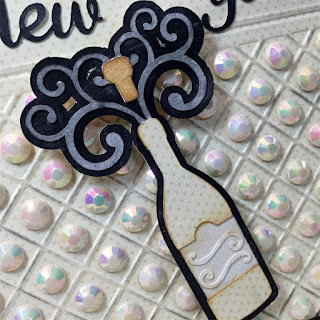 We all need some sparkle in our lives! I used one of my favorite techniques with the PowderPuff Chalk Inks and that is to highlight embossed surfaces. I also used another favorite and that is simply to color the white paper with ink. I wanted the cork to be, well, cork colored. So I made the cut in white and dabbed the ink over the entire cut. I also inked the "label" slightly with the same color to give it a vintage look. I chalked all the edges of my cuts with PowderPuff Chalk Inks. 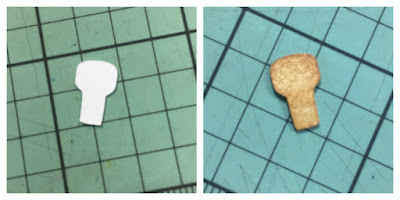 It really helps to soften the edges of manual and electronic die cuts. 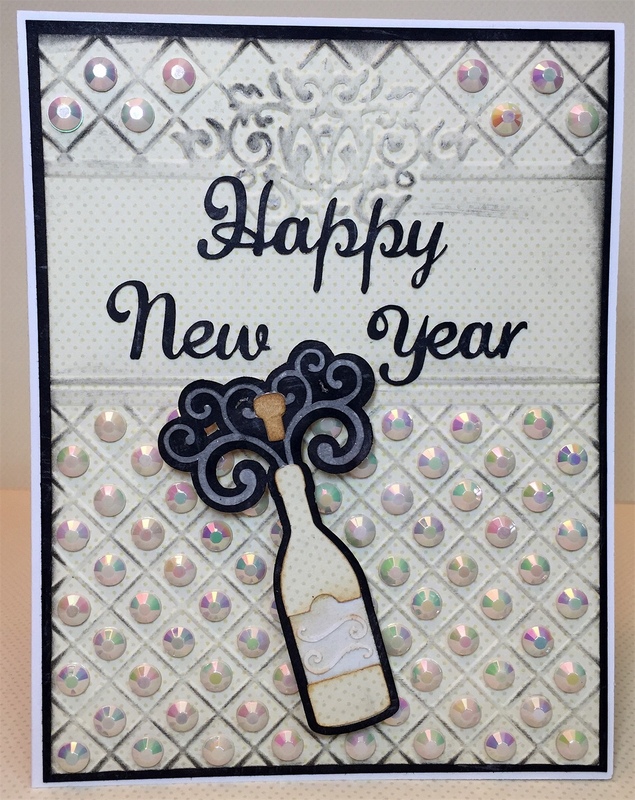 I added Want2Scrap bling to the lattice created by the embossing folder for a festive look. The Want2Scrap Mother of Pearl Rhinestones blended perfectly with Earth Wind Fire 105 paper.